It's amazing how well some of these old computers have weathered the ages. Mathew Bergman gives us the scoop on his old Zenith machine. While this machine may not have the charm of an Apple II, the fond remembrances of a C64 or the utility of an IBM PC, it definitely has one outstanding feature: It was built to last. By remarkable circumstance I was given this computer while just finishing elementary school, and pounded it playing ASCII-based games, word processing and BASIC programming through my Sophomore year in college in 1991. As evidenced by the picture, it's barely the worse for wear. Throughout its active life it was connected to a Transtar daisy-wheel printer (still clacking away, though no drivers are available for it) and an acoustic-coupler 300 baud modem (since lost, although it never really worked anyway). Although this machine is still fully functional, it is now mostly used as a conversation piece. 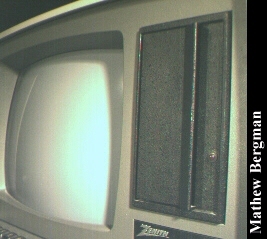 This Zenith Data Systems Digital Computer is a versatile, 8-bit microcomputer and professional video terminal both built into the same cabinet. The computing functions and terminal operations are both controlled by separate Z-80 microprocessors. 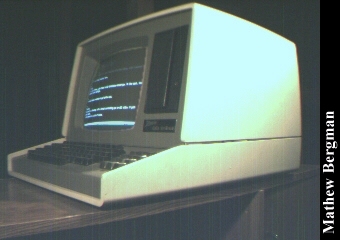 The high quality keyboard, video display, state-of-the art logic circuitry, and plug-in accessories make this Computer [Zenith's capitalization] outstanding. The manuals are massively thorough, including a separate manual just for the built-in video display. They include complete fold-out schematics, the Z-80 instruction set, circuit description, etc. The Z89's design is almost classic, and remarkably functional. The monitor is a 12-inch, 60 Hz black & white with a single brightness control, and is capable of displaying high- and low-ASCII characters. The keyboard is very functional, though a bit mushy (but still excellent for heavy typing). The keyboard includes five function keys and a numeric keypad with arrows, and the system sounds a tone each time a key is pressed. The beige case is made of a very strong plastic and is quite heavy. Technically, the Z89 is an 8-bit Z-80 based machine running at 2 MHz, with 64K RAM (48K available to the user, 8K for the system for ROM and RAM and 8K reserved). The main board contains two Z-80's, one for I/O and one for actual computing (obviously, the Z89's other use as a terminal was emphasized). 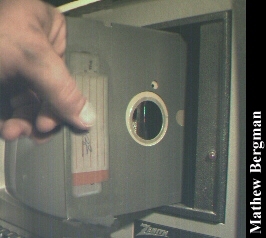 Storage is on a single, hard-sectored floppy drive with a capacity of 100K. The Z89 features three serial ports. Naturally, it runs CP/M 2.2. In essence, this was a practical, robust business machine throughout, with none of the fun colors, sounds or cartridges of home PC's at the time. The software I have for it today (still running) includes the word processors Spellbinder from Lexisoft, Inc., and WordStar (WordStar came on two floppies, and I didn't like swapping them while typing so I stuck with Spellbinder); the spreadsheet program Supercalc; Microsoft BASIC; and a number of games, including Adventure and Zork (which I still play occasionally). Click here to view all comments for the Zenith Data Systems Model Z89 and to leave your own. 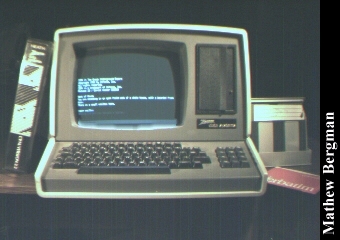 Click here to view comments about other Zenith computers.